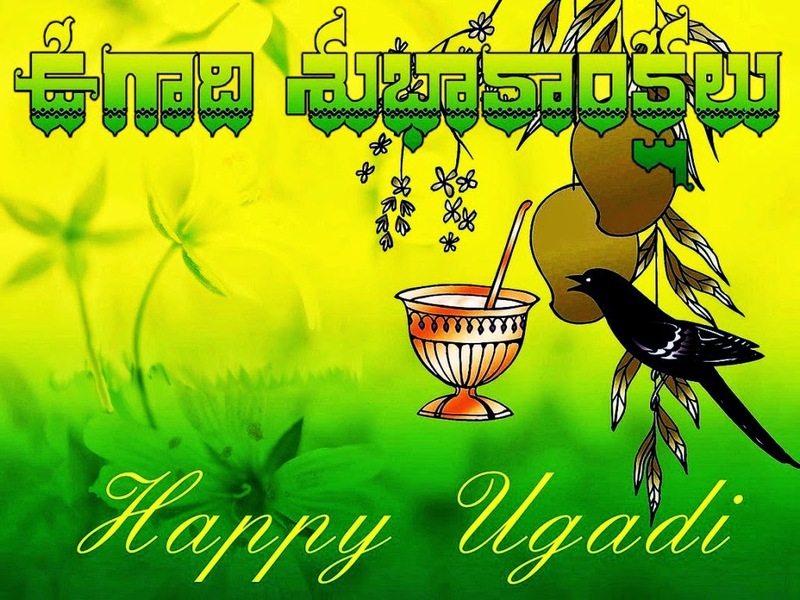 Ugadi & Gudi Padwa ~ Amazing ..!! 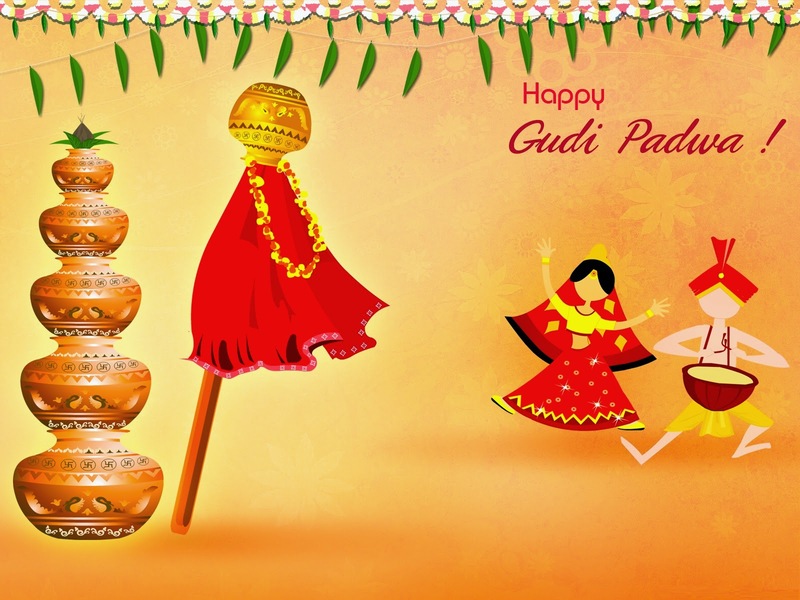 With the Best wishes for Ugadi and Gudi Padwa festivals. This festival heralds the advent of spring. Mother Nature allows new plants to take birth and makes the earth green. 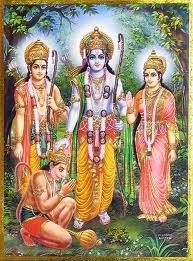 The Nine day long Spring festival of Vasantha Navartri starts on this day and ends on Shri Rama Navami. Panchanga Shravanam is one another important tradition of this festival. Listening or reading the Panchanga equals a holy dip in river Ganges. 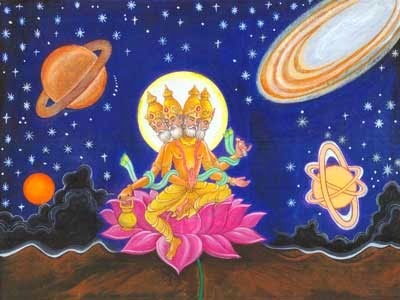 It is also believed that Lord Brahma started creation of the Universe on this auspicious day. 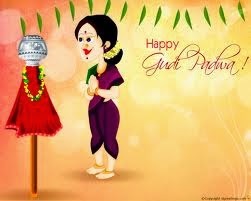 Marathi's and Konkani's celebrate the same day as Gudi Padwa. Bright green or yellow cloth adorned with brocade (Zari) tied to the tip of a long bamboo over which sugar crystals, neem leaves, a twig of mango leaves and a garland of red flowers is tied. A silver or copper pot is placed in the inverted position over it. Altogether is called as Gudhi. It is hoisted outside the house or near a window so that everybody can see it. It is represented as the flag of Indra and this festival is celebrated because of the initiation of creation by Lord Brahma. Also mythological, Gudhi represents Lord Rama's victory and happiness on returning to ayodhya after slaying Ravana. It is also believed that it gets rids off the evil and invites prosperity with good luck. Sindhi's also celebrate the day as Cheti Chand festival. Mostly not on the same day.